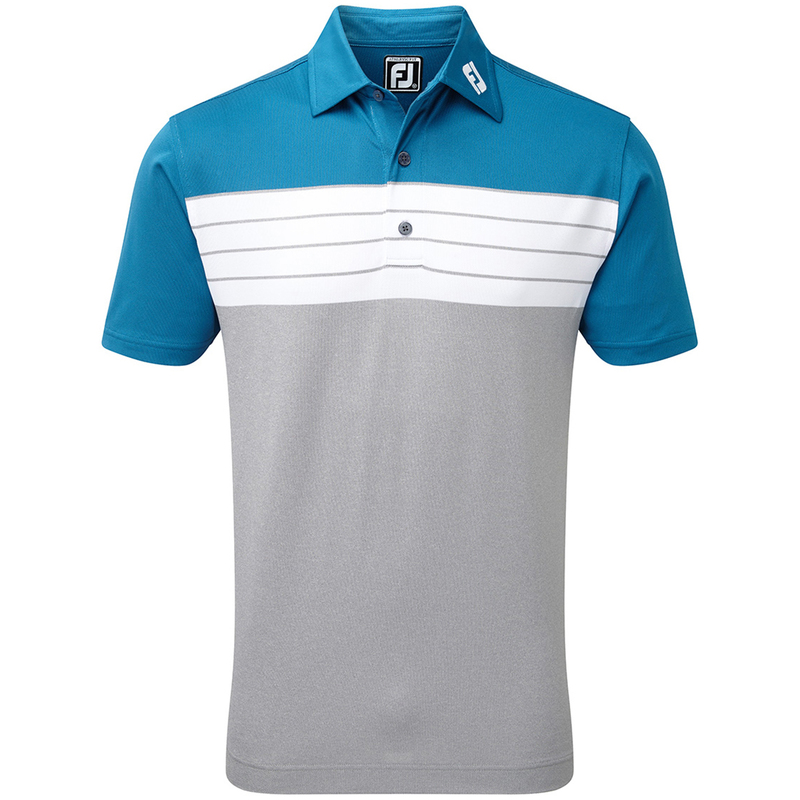 This sporty styled colourblock performance polo shirt has been constructed to play golf. 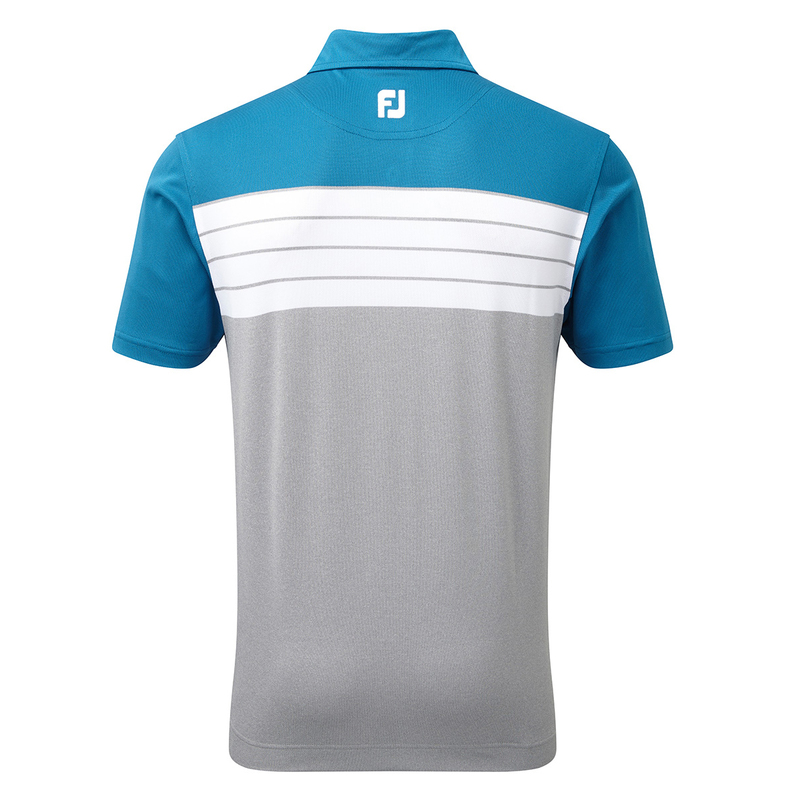 Engineered with a stretch fabric which promotes better mobility and greater comfort through the golf swing. 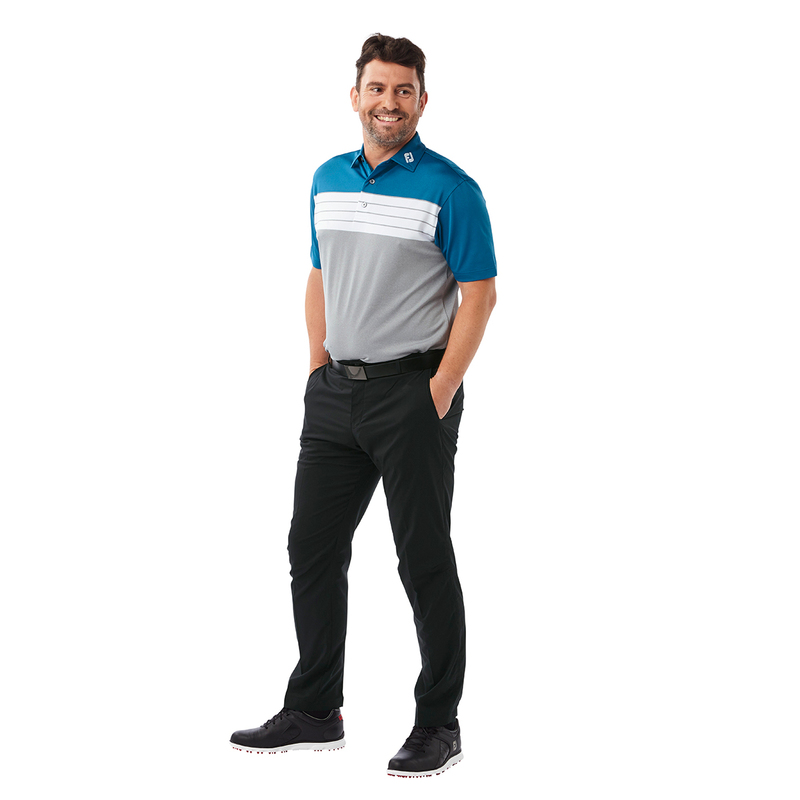 The shirt has moisture wicking properties to ensure you remain dry and comfortable, and is easy care which avoids shrinkage and wrinkles. 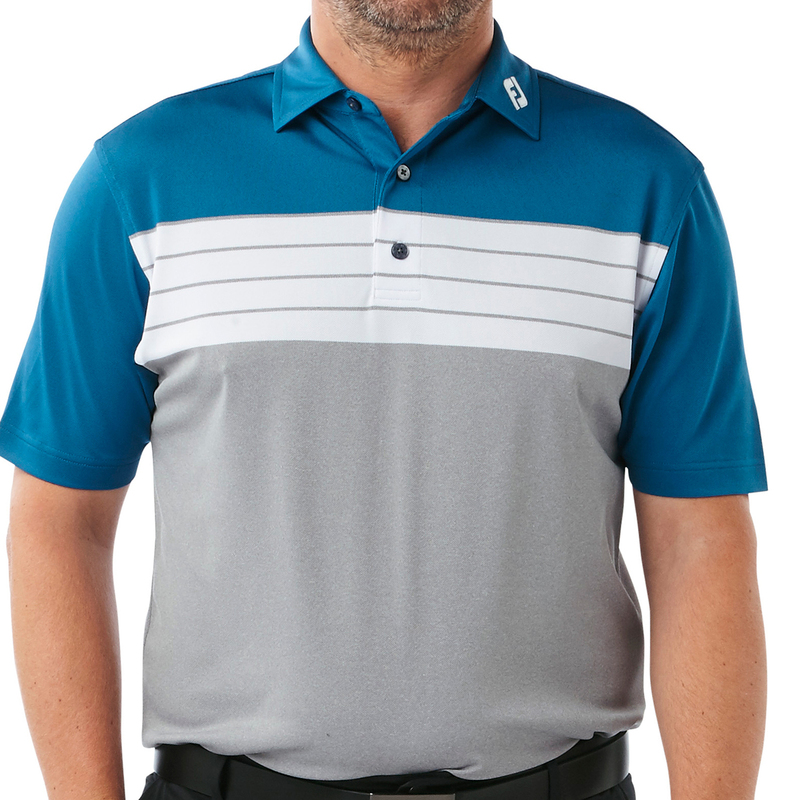 The athletic design features a classic 3-button placket and fold over collar with FJ logo, which is perfect for playing golf.